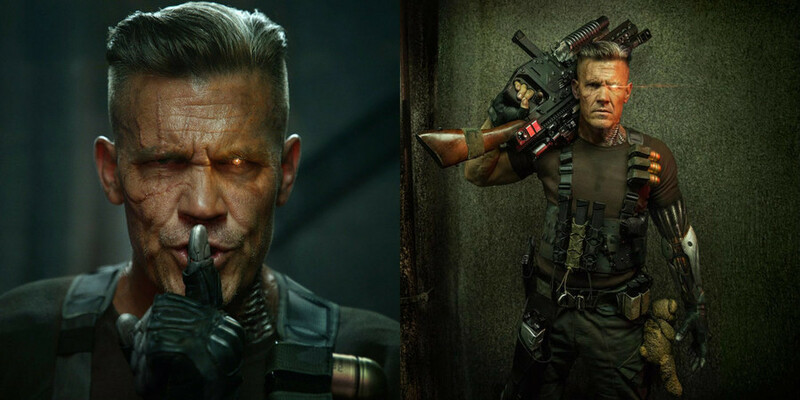 Since when it was announced that Josh Brolin would play Cable in Deadpool 2, comic book readers were eager to see how the character will be shown on the big screen. We’ve already seen Brolin exercising to get Cable’s body, but we had not got the chance to see his appearance. Ryan Reynolds uploaded cable’s first look on social networks on Monday following by Fox studios second photo. As expected, Brolin’s Cable sporting a head of silver hair, a star-shaped scar on the right side of his face, glowing left eye and also his trademark robotic arm, but some pretty massive pieces of ammunition on his shoulder straps as well — along with a fiercely large gun. ‘Deadpool 2’ directed by David Leitch and produced by the main protagonist Ryan Reynolds. Apart from Brolin and Beetz, the cast also consists of Jack Kesy as an unspecified villain; T.J. Miller as Weasel; Brianna Hildebrand as Negasonic Teenage Warhead, Leslie Uggams as Blind Al, Karan Soni as Dopinder and Morena Baccarin as Vanessa, Deadpool’s fiancée. “Deadpool 2” is expected to hit theaters June 2018.